Sir Maurice Newbury, Gentleman Investigator for the Crown, imagines life will be a little quieter after his dual successes solving The Affinity Bridge affair. But he hasn’t banked on his villainous predecessor, Knox, who is hell-bent on achieving immortality, not to mention a secret agent who isn’t quite what he seems…. Stand alone or series: Book 2 in the ongoing Newbury and Hobbes Investigation series. Why did I read this book: I really enjoyed The Affinity Bridge, the first book in the series, and having been pleasantly surprised and delighted by Newbury and Hobbes before, I was more than happy to come back for a second serving! The fun of the Newbury and Hobbes mysteries is twofold: first, in the dynamic between the sensible Miss Hobbes and the intelligent (yet vice-dependent) Sir Newbury; second, in the period and the action-packed plot. In The Osiris Ritual, both detectives (and secret agents) for Queen Victoria are back with a vengeance, taking on dastardly criminals, ancient rituals, and mortal peril at each turn. The romantic tension between the two protagonists is more developed in this second book, as Newbury’s emotions in particular come to a point for dear Hobbes – although neither of the pair are willing to quite express their emotions to the other any further than a general amiability. Romantic tension aside, Maurice and Veronica make an impressive team with Newbury’s keen intellectual suavity and Hobbes’ practicality – and there is a source of even greater tension in this second book as Veronica longs to tell Maurice of her role as a fellow spy under the Queen’s employ, but is specifically forbidden to do so by Queen Victoria herself. As a result, Newbury tends to think of Veronica as more…delicate than she is in reality. Of course, this secret finds its way out eventually, meaning drastic complications for the already layered relationship between these two characters. From a writing perspective, as with The Affinity Bridge, The Osiris Ritual is eminently readable, the mystery plots handled deftly (even if they are somewhat predictable) and balanced with copious amounts of action in the form of chase scenes, fights, hostage situations, etc. These investigations are nothing if they aren’t enjoyable page-turners; in fact, they put one in the mind of “penny dreadfuls” or sensationalist, serialized novels of the period, such as Wilkie Collins’s The Woman In White. This, again, is testament to author George Mann’s skill when it comes to creating an authentic period (turn of the century London), down to mannerisms and dialogue and detailed with steampunk-ish contraptions such as zeppelins, automatons, and other steampowered devices, as well as the occasional zombie (sadly not as present here in this second book). 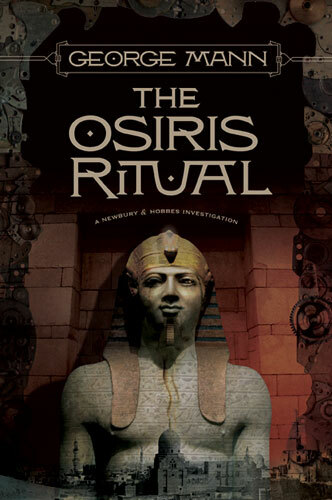 The Osiris Ritual also generally advances the continuity arc of the series, with Maurice Newbury’s increasing addiction to narcotics (graduating from laudanum to smoked opium), the plot thread of Veronica’s sick and precognitive sister Amelia, and the mysterious involvement of a certain mastermind Doctor Fabian (who I don’t trust for a second). There are a number of intriguing secondary characters introduced in this book too, such as eager young reporter Purefoy, the rogue agent Ashbury, the occult-obsessed Doctor Knox, as well as the comforting reappearance of Scotland Yard chief Charles Bainbridge. These praises said, I did feel that in many ways The Osiris Ritual felt like a step backward from the promise of The Affinity Bridge. Instead of taking advantage of the complexity of these two main characters – Newbury with his drug dependency, Veronica with her guilt for lying to her employer and friend and her concern for her sister – these core, character building conflicts are treated on an entirely superficial level. Instead of delving into these implications, instead, each exchange between Veronica and Maurice is very…quaint. There are countless scenes involving lips curling into grins and eyes flashing with delight, cleverness or mischief. None of this is necessarily bad, but it leaves something to be desired in the complexity department (not to mention the descriptive writing department). Also, Veronica has an annoying tendency to get herself kidnapped or otherwise injured (requiring the rescue of Sir Maurice, of course) towards the latter portions of this book, which is especially frustrating given how capable a character she actually is. These criticisms aside, the book does end on a high note with many threads tantalizingly unresolved and some foreshadowing for a darker time ahead for my favorite two steampunk spy-detectives, especially in the relationship between the two. 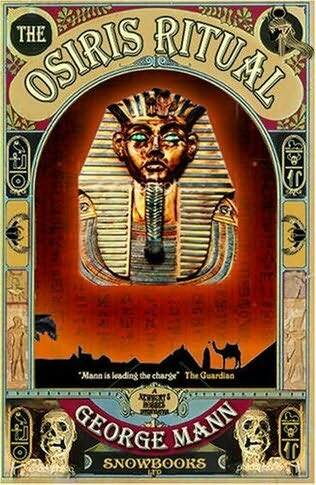 Overall, The Osiris Ritual is a good old fashioned fun novel. Though lacking in depth, the deficit is made up (or at least slightly overlooked) by virtue of nonstop action and a solid setting and deft plotting. For sheer entertainment value, you can’t get much better than Newbury and Hobbes. Notable Quotes/Parts: No excerpt, but you can read a collection of free fiction from the Newbury and Hobbes universe HERE, as well as see the full timeline of these stories HERE. Welcome to the bizarre and dangerous world of Victorian London, a city teetering on the edge of revolution. Its people are ushering in a new era of technology, dazzled each day by new inventions. Airships soar in the skies over the city, whilst ground trains rumble through the streets and clockwork automatons are programmed to carry out menial tasks in the offices of lawyers, policemen and journalists. But beneath this shiny veneer of progress lurks a sinister side. For this is also a world where lycanthropy is a rampant disease that plagues the dirty whorehouses of Whitechapel, where poltergeist infestations create havoc in old country seats, where cadavers can rise from the dead and where nobody ever goes near the Natural History Museum. 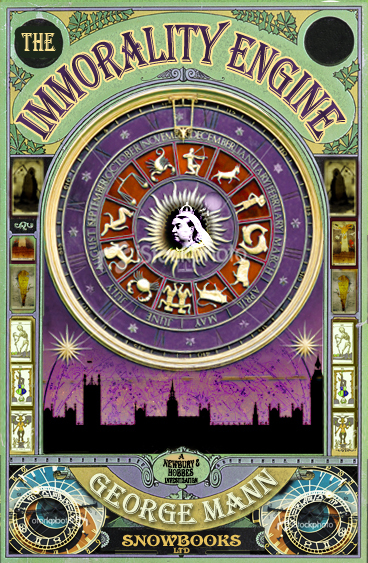 The Immorality Engine is the third in the Newbury and Hobbes series. Beautifully written review, as always–thank you for taking the time to do so. So how does this rate on your scale of steampunk? Very steampunk? Just somewhat steampunk? I am on my third ( I think, might be more…) steampunk book and it’s just not reading as very steampunk to me – Dreadnought by Cherie Priest, while I thought her Boneshaker was a pretty good current example of steampunk. Is a book really only considered steampunk if it has a dirigible or two? I know yall covered this with a steampunk dedicated segment. I need to read it again because I’m still confused on what steampunk should be, within the context of the steampunk books themselves. Oh, and Cold Magic, too, my most fave book this year – not sure yet how the series is being labeled steampunk, and why. I just finished this one, and have to say I was left slightly underwhelmed. Not sure if this is partly due to me not having read the first book, but I never really got into the story or the characters. I do see what you mean though, about the complexity of the characters left unexplored. I think if the focus had moved somewhat more onto the characters as opposed to the external mystery, that would have been more interesting.